Declining prices of sequencing is expected to enhance the Epigenetics Market from 2018 to 2025. The global epigenetics market is expected to reach US$ 2,611.57 Mn in 2025 from US$ 991.45 Mn in 2017. The market is estimated to grow with a CAGR of 13.6% from 2018-2025. The declining costs associated with different strategies and methods for sequencing supports to influence the scale and scope of almost all genomic research projects. The costs associated with DNA sequencing performed at the sequencing centers which is funded by the Institutes, has tracked by the National Human Genome Research Institute (NHGRI) for many years. This information has served as a key standard for establishing the DNA sequencing capacity and considering improvements in DNA sequencing technologies of the NHGRI Genome Sequencing Program (GSP). In the recent years, next generation sequencing price have declined substantially. For instance, first whole human genome sequencing cost over US$3.7 billion in 2000 and took 13 years for the completion. However, the costs for the same in recent years has reduced to US$1,000 and the process requires less number of days. In 2000, cost for sequencing was US$ 3.7 billion, which dropped down to US$ 10 million in 2006 and declined to US$ 5,000 in 2012. Major market players such as Illumina and Roche have introduced breakthrough technologies that have enabled in the cost and time reduction in the sequencing. Owing to factors such as advances in the field of genomics, development in different methods and strategies for sequencing, there is a notable decline in the cost of sequencing, that upsurge the growth of the market. In recent years, the demand for cutting edge technology in order to gain high speed results and accuracy is increasing. Technological development has enabled advances in sequencing technology leading to a sharp increase in the cost of sequencing equipment. Companies such as Illumina and PacBio offer instruments with high cost. For instance, Illumina MiSeq cost for US$ 128,000 and PacBio RS cost for US$ 695,000. Thus, the high cost of next generation sequencers is hindering the growth of the market for in the future. 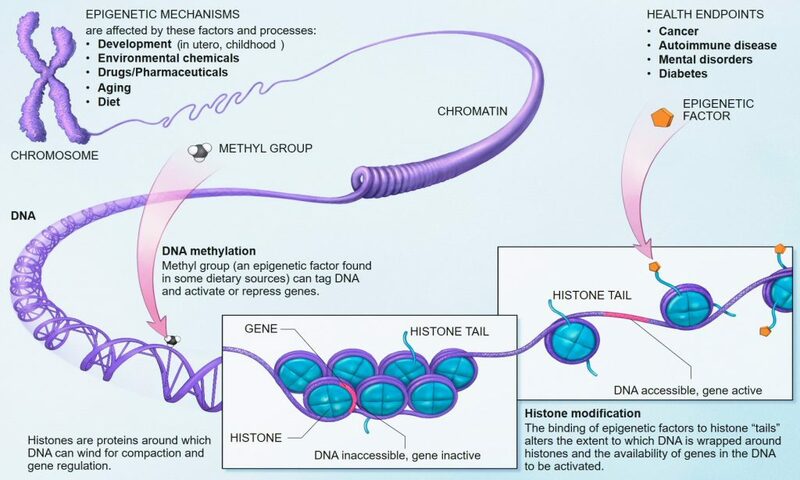 The major players operating in the epigenetics market include Merck KGaA, Thermo Fisher Scientific Inc., ABCAM Plc, Agilent Technologies, Active Motif, QIAGEN, Bio-Rad Laboratories, Inc., Perkinelmer Inc., New England Biolabs (NEB), and Illumina Inc.